Ordering a glass of wine in the Czech Republic can often times feel like you are betraying its beer culture. But don’t let that stop you. Hidden behind the popularity of Czech Republic's Pilsner, is wine from the Moravia region of Southeastern Czech Republic. Once you have gotten your fill of the delicious locally brewed Pilsner beer, and I mean literally full (watch out for that beer belly), taste the local wines from Moravia. And what better way than to turn it into a whole day excursion. Departing from Prague, a flight like never before will fly you over the unexplored lands of vineyards, rolling hills, and beautiful countryside landscapes of Southeastern Czech Republic. Every which way you turn, there is something beautiful to see. 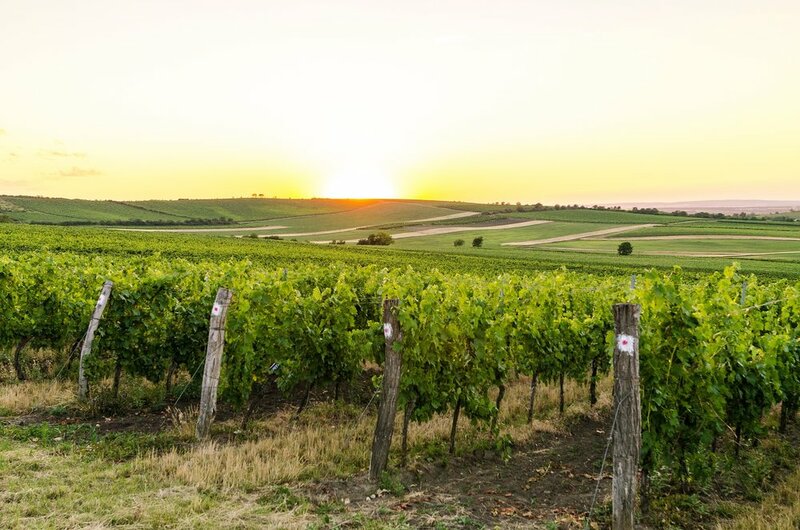 Czech Republic is more than just a country with delicious beers, but also delicious wines and spectacular views. There is just something so different about traveling by plane. You get to see the world in a totally different perspective. That feeling of freedom takes over and it has never felt so good. High on life, literally and symbolically, you will fall into a trance while flying over the UNESCO town of Telc.